Have fun learning your 123's while you bake or eat your cookies, complete miniature number cookie cutter set. 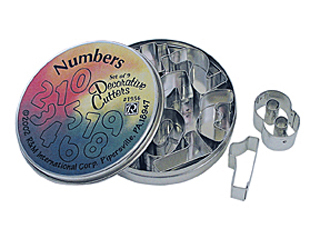 All numbers are made of tinplate steel. Number 6 doubles as number nine. Packaged in a gift tin.